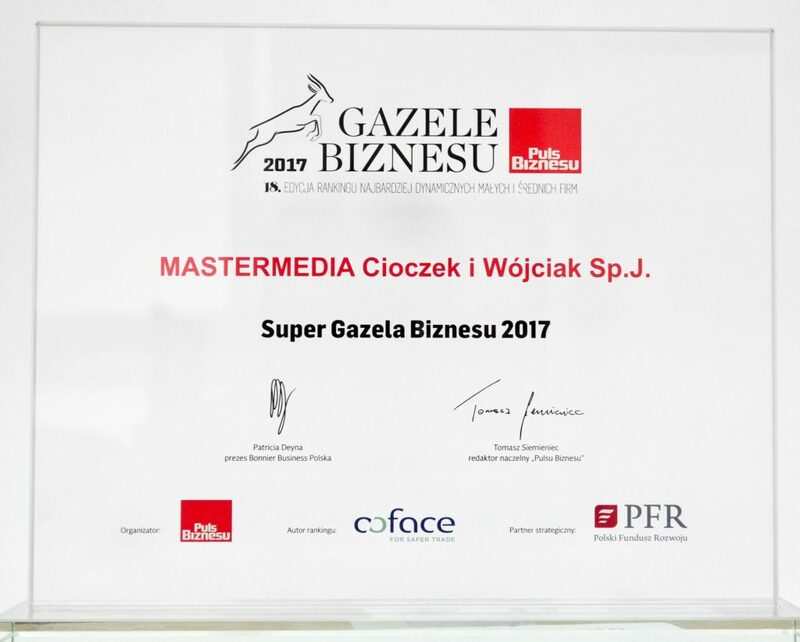 MASTERMEDIA was awarded the Gazelle of Business title for the fifth time. 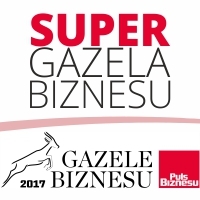 In addition, our company has been awarded the Super Gazelle of Business. 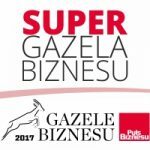 Granting the title of Super Gazelle 2017 determines the average score of the rankings for the last 5 years. 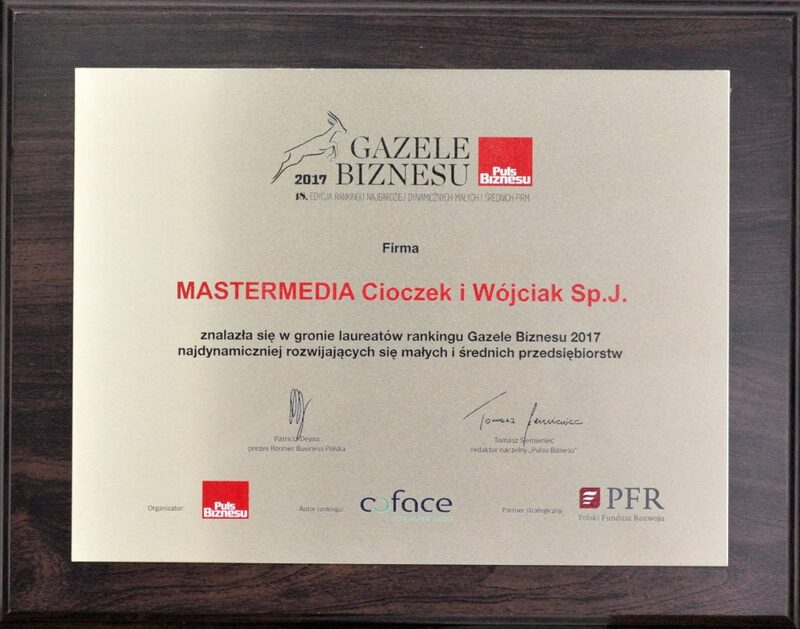 According to the Puls Biznesu, Mastermedia reported an increase in revenue of: 259.369% (2016/2014 (percentage), 2014 = 100). 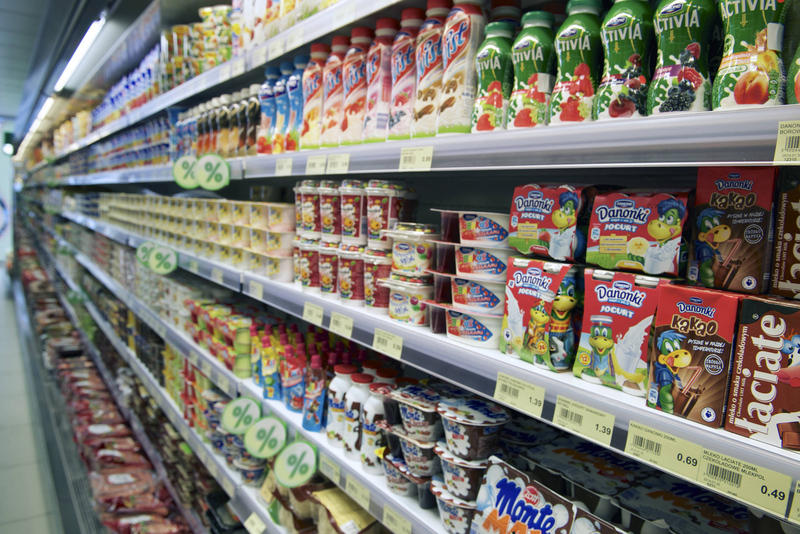 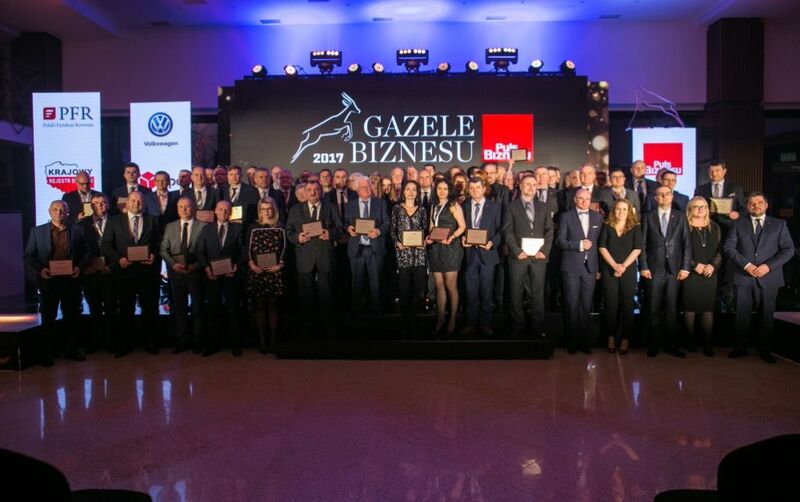 „Gazelles of Business” is the most popular and oldest combination of the most dynamically developing small and medium enterprises in Poland. 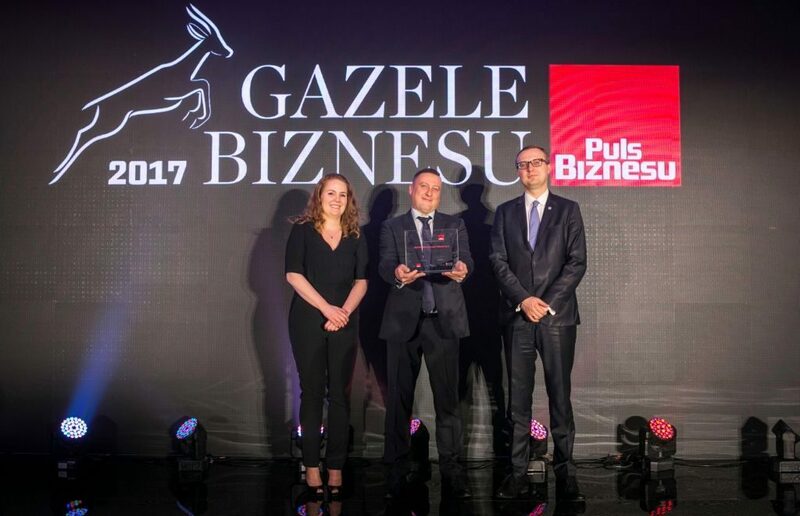 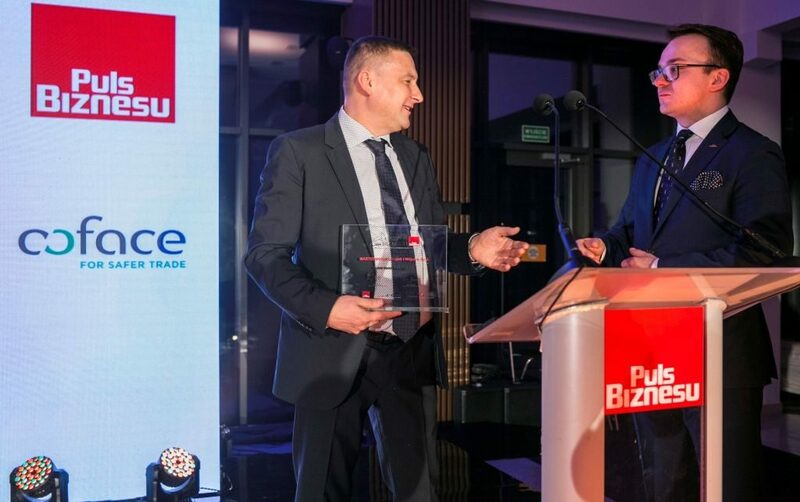 The organizer of the Gazelle of Business ranking is „Puls Biznesu” – a nationwide specialist journal dedicated to business, economy and the stock market.